I picked an unexpectedly timely topic this week for Best Book Ever. The mind works in mysterious ways, and I guess all the Hurricane Sandy coverage made me think about water? Maybe? I don't know. Anyway, this week, I asked our contributors to share with us their favorite mermaid stories! I haven't actually read any mermaid books, but now I've got a few on my list! Check out their picks below, and add yours in the comments. 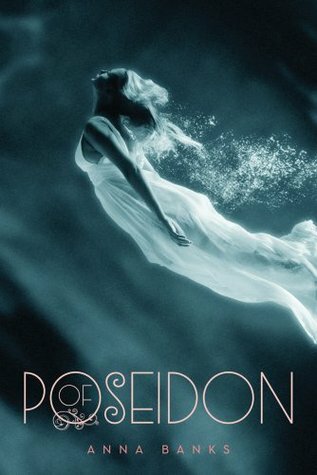 I have only read three mermaids/siren/meman books lately: Of Poseidon, Wake, and The Vicious Deep. But my favorite out of the three was Of Poseidon. The book was just a breath of fresh sea breeze. ;) It incorporated humor, romance and mystery. I promise that you will burst out laughing on the very first page, and the action soon follows. The romance was sweet (and not only between the two main characters but it was also sweet between the secondary characters). The mystery and myth of the merfolks just kept you swimming deeper and deeper into the book. The characters were light, funny, and gorgeous. I loved every one of them. They all have something a little different, but they are all sassy and funny. 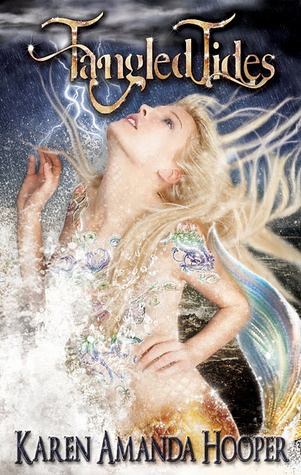 :) This book is worth buying a billion copies and stacking them into your own underwater Syrena. :3 Now I shall quote a sentence in the book that sums up the whole book..."Fan-flipping-fastic". Well I know the topic is all about Best Mermaid in a book, but Im going with Best Merman in a book. The Merman that holds a special place in my heart are Fin from Brenda Pandos' Mer Tales series and Treygan from Karen Amanda Hooper's The Sea Monsters Memoirs. Each of these merman have such amazing qualities, you immediately fall head over fins from them. They both have hearts of gold and will go above and beyond to help those they love in need. Forget Vampire or Werewolves, Merman are the new hotties to watch out for!!! This is certainly an appropriate topic, considering the massive flooding Hurricane Sandy has caused this week. I don't know if mermaid books are "in" or not, but there certainly many to choose from. The first one I encountered, just ahead of the wave, was an encouraging start: Jenn Reese's Above World. The main "merpeople" in this fun middle-grade adventure are Aluna and her friend Hoku, members of the Kampii who live under the sea. When their way of life is threatened, only they are brave enough to venture out of their ocean home onto land. In their travels, they find not just a way to save their people but the answers to their very existence. If you like a little science fiction in your fantasy like I do, you will be pleasantly surprised by where this book goes and will definitely enjoy the ride. 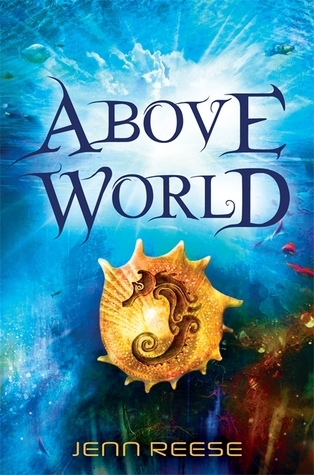 It turns out that I love mermaid books that do something fresh and different with the idea, instead of just making an edgy version of The Little Mermaid; a few other recent books that accomplish this are Lies Beneath by Anne Greenwood Brown, The Vicious Deep by Zoraida Cordova, and Of Poseidon by Anna Banks. Don't make me choose one! There are plenty of fish in the sea, and it's all right to try to catch them all. My favorite mermaid book is also one that is incredibly appropriate for Halloween. 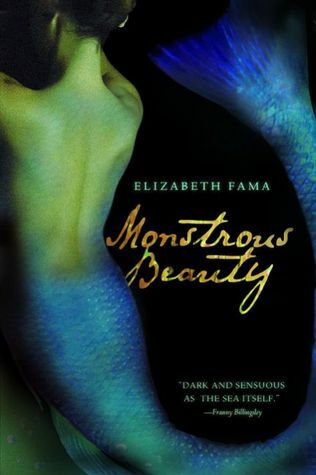 Monstrous Beauty by Elizabeth Fama is scary, intelligent, and stuffed full of page-turning suspense! I love that what starts as a traditional mermaid story becomes a historical horror story, full of ghosts, gross parts, and a light romance. This book is not for the feint of heart or Little Mermaid lovers!